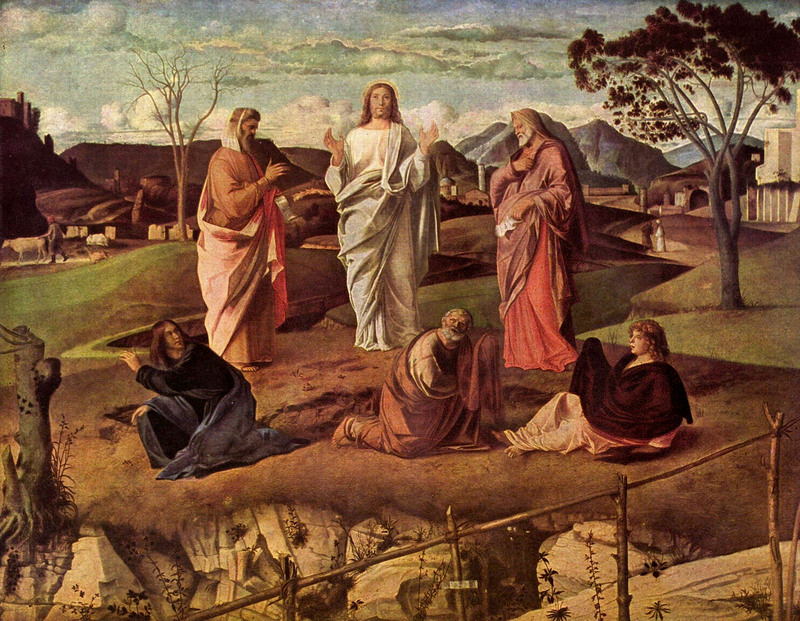 “Transfiguration of Christ,” Giovanni Bellini, Galleria Nazionale di Capodimonte, Naples, Italy. d. 1516. If you have ever worked on a team you know how strained relationships can become. We are so quick to ascribe failure to to others yet so slow to recognize fault within ourselves. When faced with such conflicts the important point to remember is what the Apostle Paul says here: “Where the Spirit of the Lord is, there is freedom” (3:17). The Corinthians were not pleased with Paul when he wrote this letter to them. They were experiencing him as operating out of worldliness and insincerity (the opposites of what Paul affirms for himself in 1:12). Paul had promised to visit, didn’t, and they likely felt slighted (1:15-17). Yet rather than getting caught up in a “he said, she said” exchange, Paul kept his eye on the bigger picture. The bigger picture was that as glorious as was God’s ministry to Moses on stone at Sinai, so much more glorious was God’s ministry to Paul and his brothers and sisters at Corinth. While Moses was the only one to reflect God’s glory then, on this side of the cross we all now reflect God’s glory (3:18). Remember this the next time you find yourself in conflict with another Christian brother or sister or the next time your motives are misunderstood. Don’t get caught up in defending yourself or in mutual recrimination. Instead, marvel at the connection we share with one another in the gospel and keep proclaiming the gospel’s hope with great confidence and boldness. Where the Spirit of the Lord is, there is freedom. What would most help you hang on to the freedom of the Spirit of the Lord the next time you find yourself in conflict, whether with Christians or non-Christians? How does the fact that God has illuminated our faces with the gospel cause us to be more bold in proclaiming the message? Where is the freedom of the Spirit of the Lord leading you next? This entry was posted in Religion and tagged 2 Cor. 3, freedom, Spirit on February 5, 2013 by Steve Godfrey.